Check local resources for restaurants where you can order raw food or even just some delicious salads. Plan on visiting these places frequently. Call them ahead of time and tell them your situation and see if some of the restaurants will help you out by preparing special things for you (if they don’t already have things available on their menu). Look for health food stores as well, because they often have raw snacks and/or fresh salad bars. Pick some stuff up when you arrive and take it to where ever you’re staying. And, for heavens sake, don’t be shy about this! Just explain to the company you’re with that this is your lifestyle and you’re doing everything you can to succeed. Ask for their help and watch how eager they become to support it. When I arrive at my travel destination, I tend to make it a point to check these places out FIRST so I know what all of my options are. If it’s a short trip, then pack a cooler. Load it up with green smoothies, fresh fruit and veggies, a little container of nut butter, raw packaged snacks, protein powder – shaker – water, etc. Heck, even when I go to my mom’s house for the day, I pack a bag or cooler of stuff. She usually has plenty of stuff for me already, but I always want to be prepared. Pack your favorite things from your kitchen. When I went to NY in the fall we rented an apartment with a kitchen. I sacrificed taking extra pairs of shoes so that I could bring my Blendtec Blender and Brita water filter. I also packed some other utensils as well as some ingredients such as protein powders, organic nuts and seeds, dates, etc. This way I could make my raw nut milks and protein shakes when I wasn’t at home. It was perfect! There are also great travel blenders available like Tribest. Call ahead to where you’ll be and see what options are available for kitchen stuff. If it’s a relative’s house, ask about the equipment they have. If it’s a bed and breakfast, perhaps they’ll allow you use of the kitchen. If it’s a hotel, try to score a room with a mini-fridge at least. Consider shipping some of your kitchen equipment ahead of time to arrive when you do. 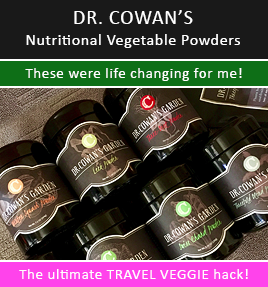 Once you arrive at your destination, you can stock up on raw goodies from a local health food store (if you didn’t have room in your suitcase for them). Again, things like nuts, seeds, dates, raw snacks, raw granola, as well as fresh ingredients to make your own salads and such. When we were in NY during the summer, we stayed in a hotel with no refrigerator, so I used the ice bucket and the sink to keep things like green juice cold that I bought from Liquiteria. I did this every couple of days. I also bought fruits and foods that could stay fresh on the windowsill like bananas, apples, avocado, oranges, etc. I bought cherries, too, but kept them in sink with ice and ate them within a day. Have raw food and/or organic produce delivered. This can be a more expensive option, but hey, it’s your health we’re talking about. Treat yourself. You can have raw meals from places such as Pure Market Express, RAWvolution, and Pure Raw Cafe delivered to you (they can be delivered to hotels, too!). And, you can use services such as Boxed Greens or Diamond Organics to deliver fresh organic produce. Check out my blog post showing when Pure Market Express delivered food to me in NY. Consider relaxing your raw lifestyle a bit while traveling so you don’t stress about it. Try some of the ideas above to ensure that you get some healthy raw food into your diet, and then if you have some cooked vegan food, don’t fret. Taking enzymes to help facilitate digestion can be a good idea. Grow your own sprouts while you’re traveling. This is fun and such a great way to stay motivated about your Raw lifestyle when you’re not at home. Check out The Sprout People for some ideas. Pack supplements – things like green powder (I like Vitamineral Green or Amazing Grass Wheat Grass Powder), probiotics, digestive enzymes, a whole food multi-vitamin, etc can help rest your mind that you’re still getting nutrients into your diet even if the food you’re eating isn’t perfect. See more travel tips in my book (ebook also available), Kristen’s Raw – The EASY Way To Get Started & Succeed At The Raw Vegan Diet & Lifestyle. 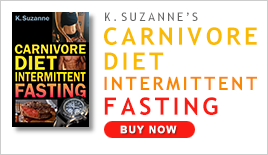 I Live the Raw Lifestyle – Do You?